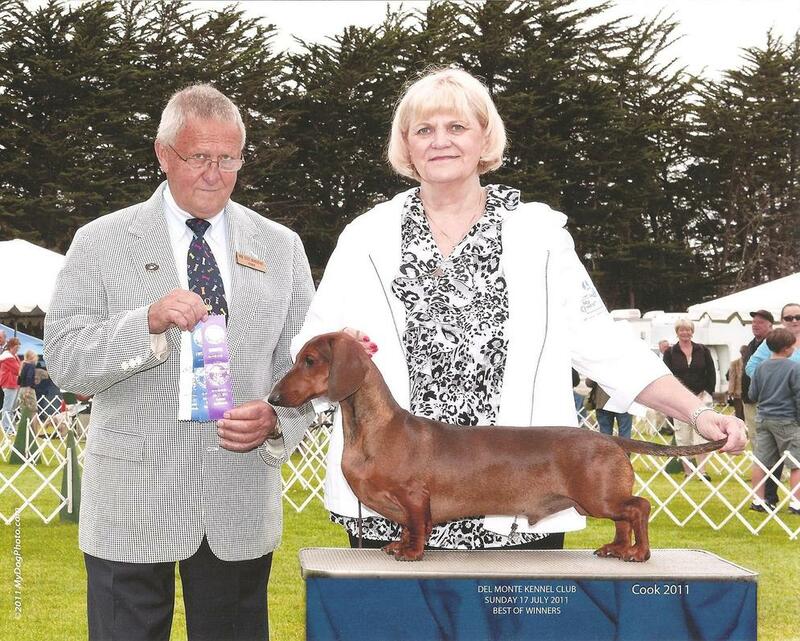 Here is Houston winning WINNER'S DOG in Carmel, California under Judge Terri Hundt in July of 2012. 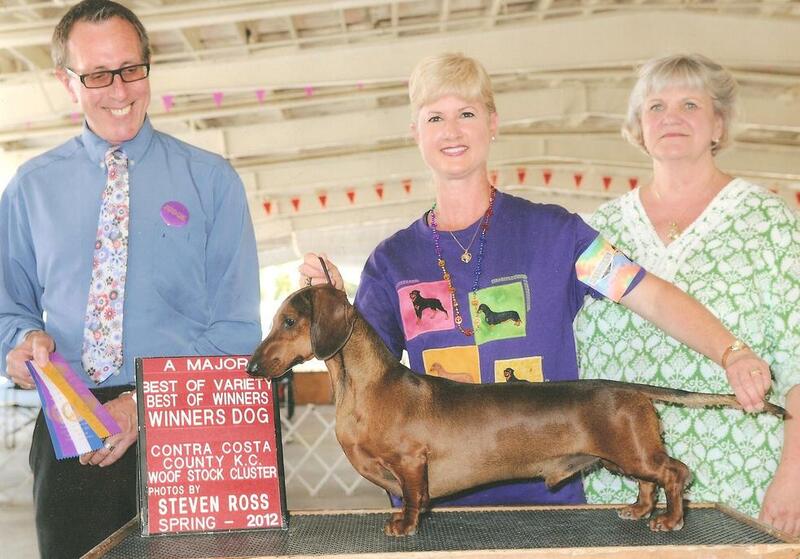 Houston wins Best of Winners under a judge from Australia on September 11 of 2011. 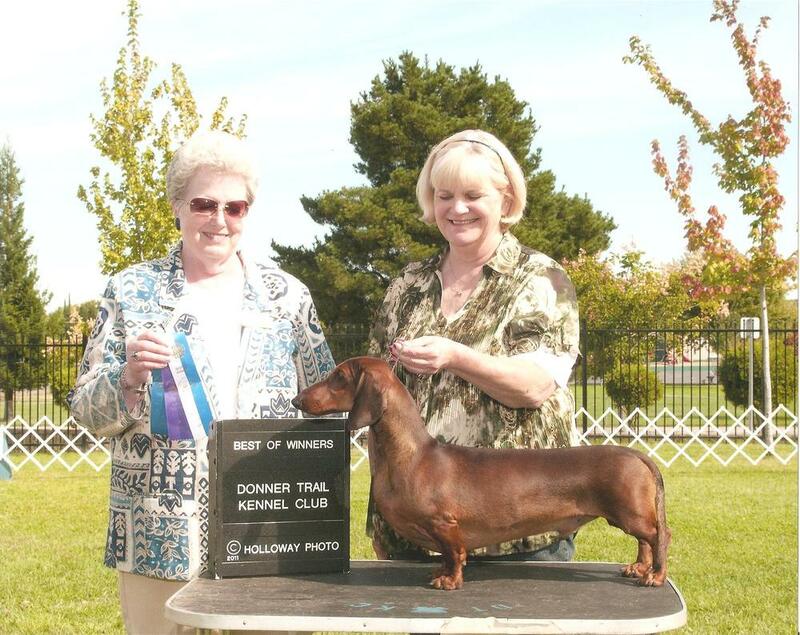 Houston garners Best of Winners at the Donner Trail Kennel Club on September 18th 2011. 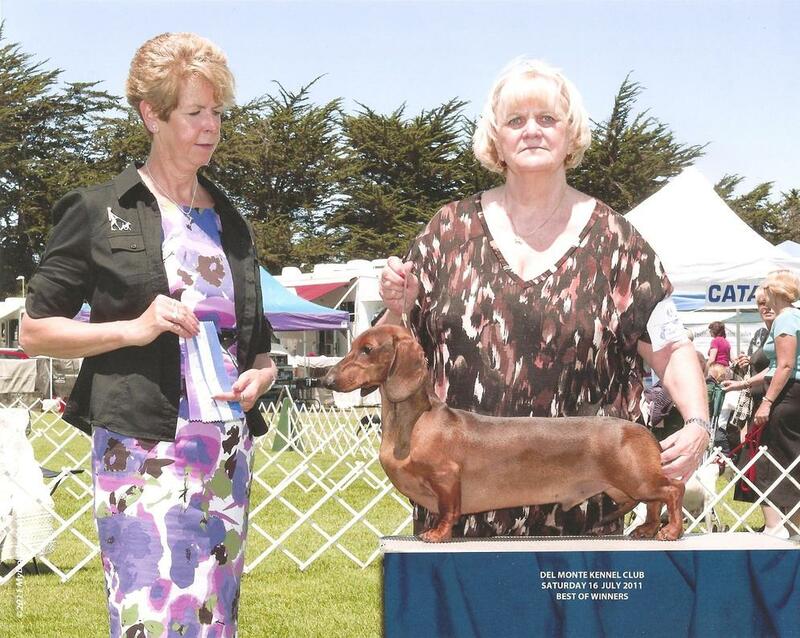 Judge Janet Lobb awards Houston Best of Winners on July 16th 2011, at the Del Monte Kennel Club in Carmel, California. 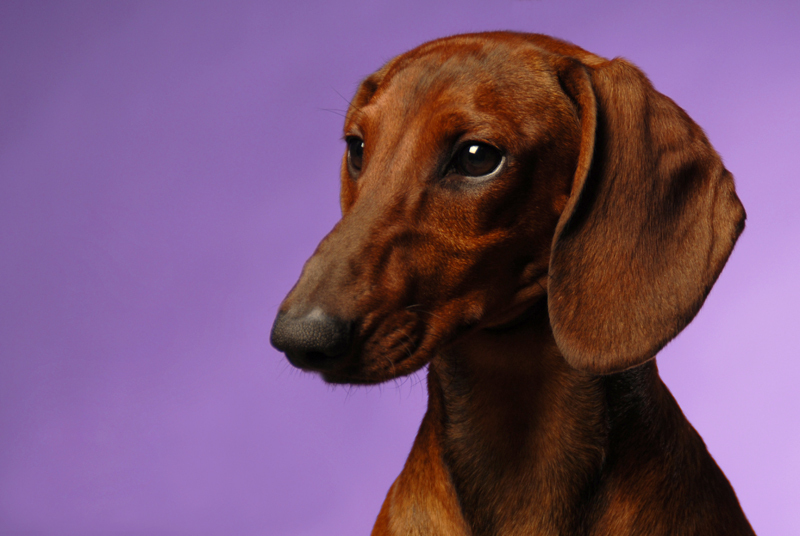 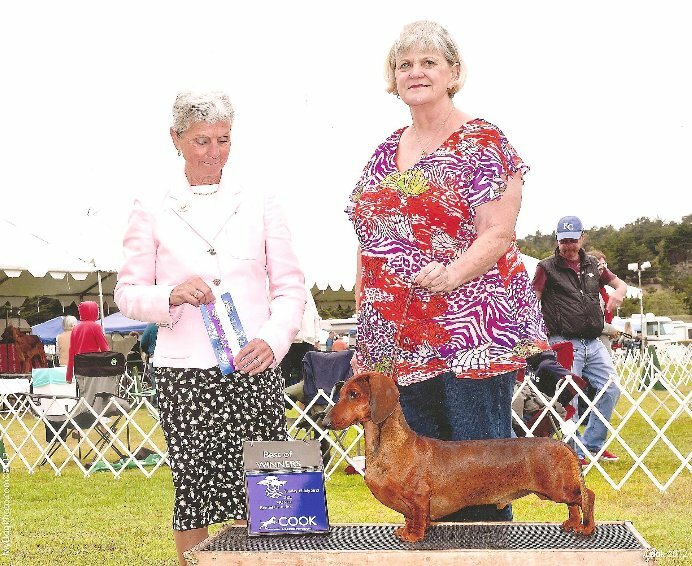 Houston wins Best of Winners under Dachshund Club of America National Specialty Show Judge Luc Boileau. 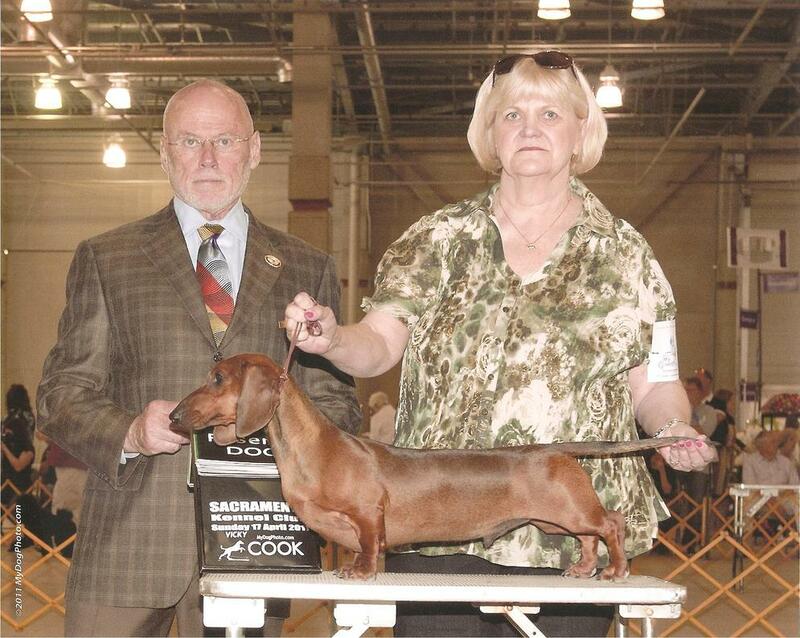 Houston is awarded Best of Winners by Best in Show Judge Ed Bivin on April 17th, 2011, in Sacramento, California. 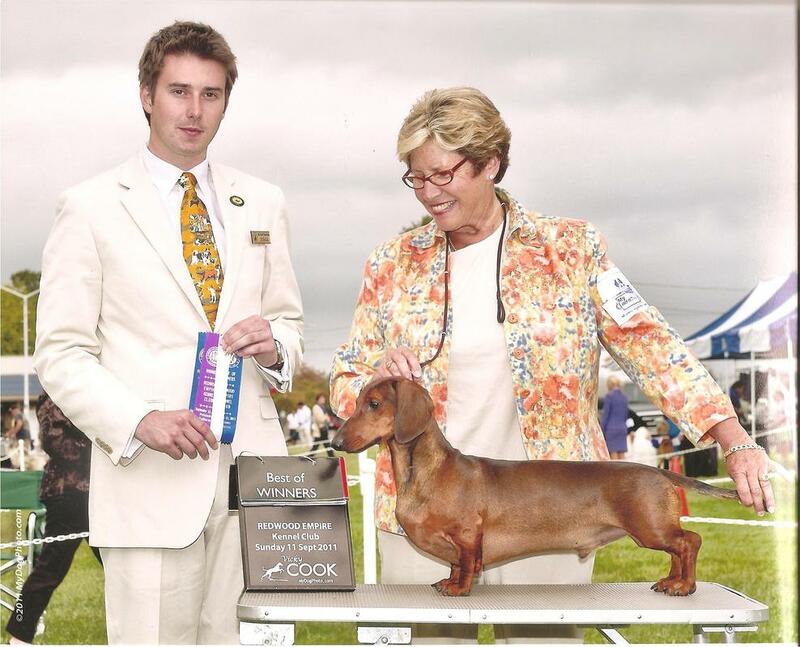 HOUSTON goes "Best of Variety" from the classes over Specials at the Contra Costa Kennel Club dog show in June of 2012, under Judge Stephen Wheeler, with Mechelle Stall handling.